The Book of Tulips - The first book to be added to the library. 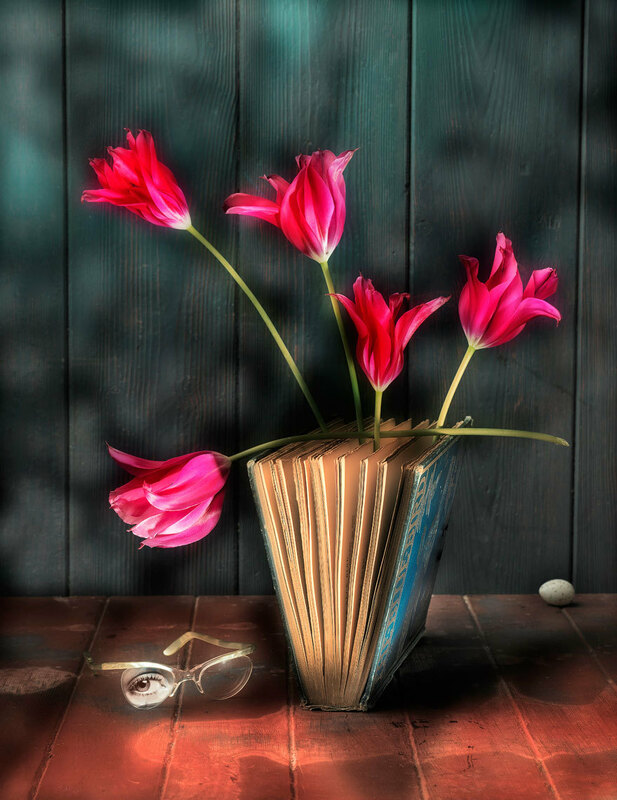 A surreal still life arrangement of magenta tulips placed in the pages of an open book acting as a vase all on a painted wooden background. There is an egg in the background and some spectacles in the foreground with an eye looking through one of the lenses. Photographed in camera.